• Convenient 10-step instant heat adjustment. 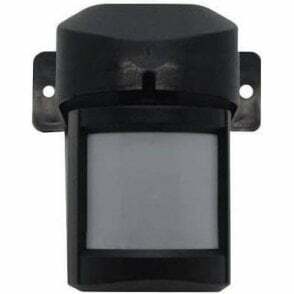 • IP65 rated - for use indoors, outdoors or in humid environments. 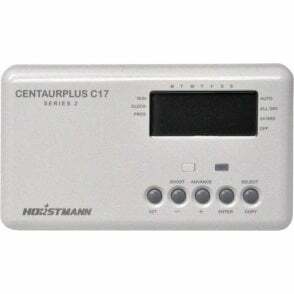 • Can be run from a 13A plug for loads below 3kW. 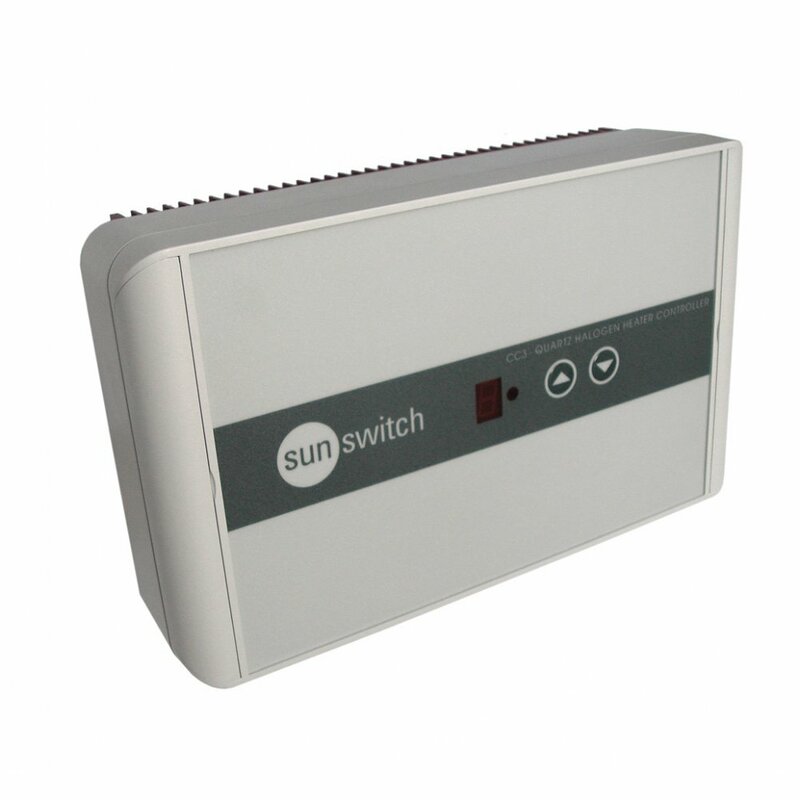 • Soft-start - extends life of infrared heater elements by up to 30%. 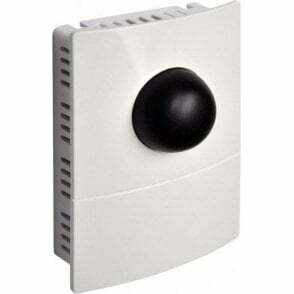 • Optional temperature, PIR and time based control (see below). 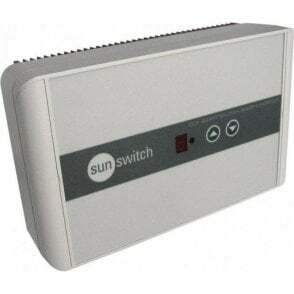 • Works with any SunSwitch heater/s up to a maximum overall load of 6kW. The CC3 Energy-saving Comfort Controller enables the heat output from up to 6kW of SunSwitch infrared heaters to be manually adjusted for complete comfort control, while also providing a soft-start to maximise element life. The advanced phase angle circuit has been specially developed for use with quartz halogen heating. 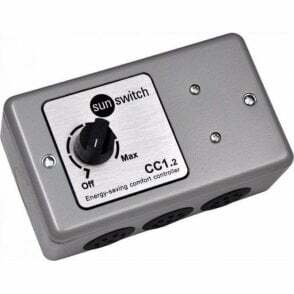 When turned down, the CC3 also reduces energy consumption which, in the long run, more than offsets the purchase price. 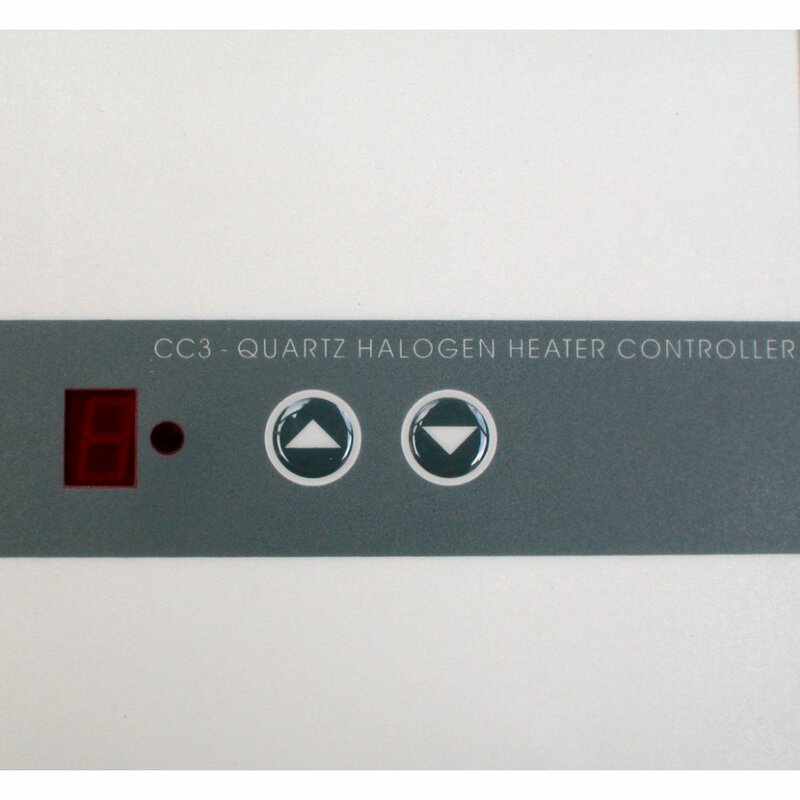 The CC3 features a soft-start circuit that brings the heaters on gently. 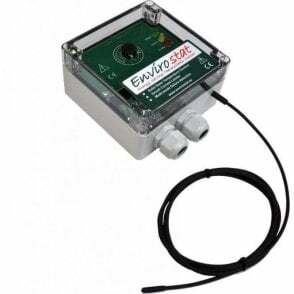 This optimises the life of the infrared elements and eliminates nuisance tripping caused by inductive current rush. 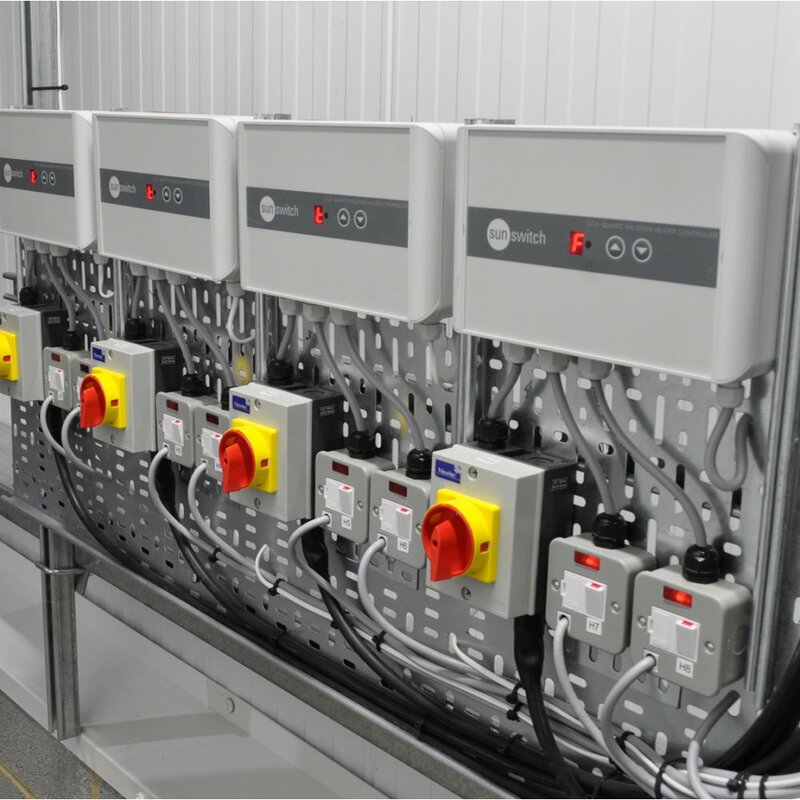 Optional accessories that automate control and provide additional energy-savings include temperature and PIR sensors. 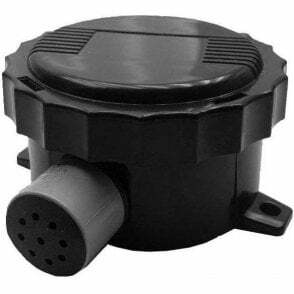 With the optional temperature sensor, if the ambient temperature exceeds the set point, the heater/s are switched off. 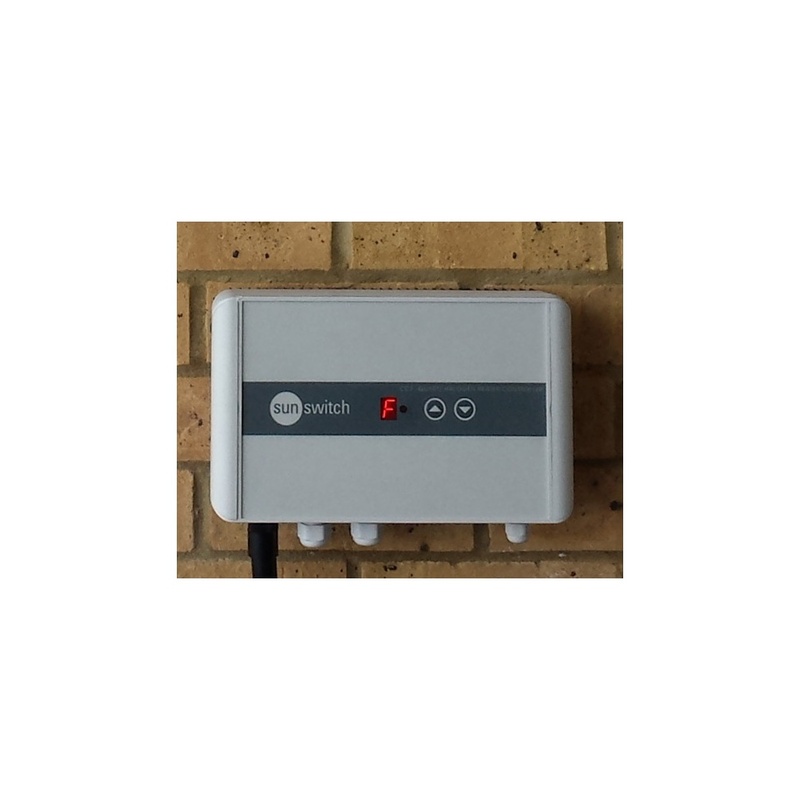 The PIR volt-free contact can also be wired to a conventional heating time programmer so the heating will switch on and off automatically at scheduled times. 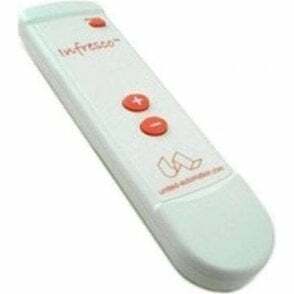 Please ensure you order the 'CC3 R' Remote version if you require a remote control handset. Max load at 20°C ambient: 4 kW. PIR set time period: 5 Minutes. Temperature set point: 5°C to 25°C. Factory set temperature set point: 20°C. 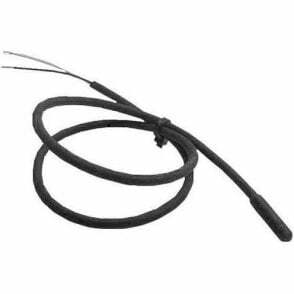 Cable entry glands: 3 accept cables up to 2.5mm2. Multiple heater installations: must be wired in parallel. Operating Temperature: -20°C to 30°C. 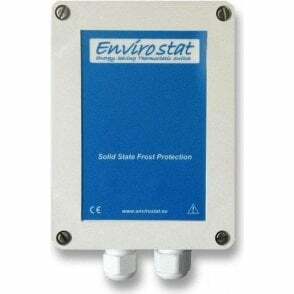 Dimensions: 280 x 80 x 200 (wdh).